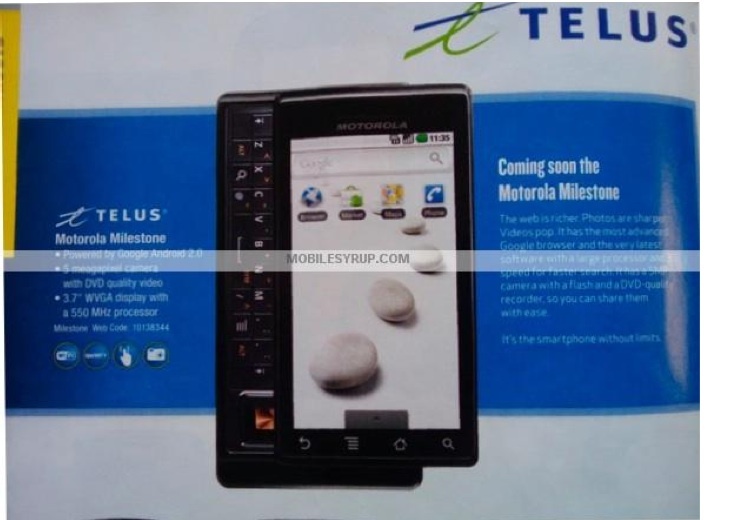 The Motorola Milestone is undoubtedly one of the most anticipated devices that will be coming to Canada this year. To date their has been several rumoured launch dates and it looks like we are getting a bit closer… still no confirmed date. 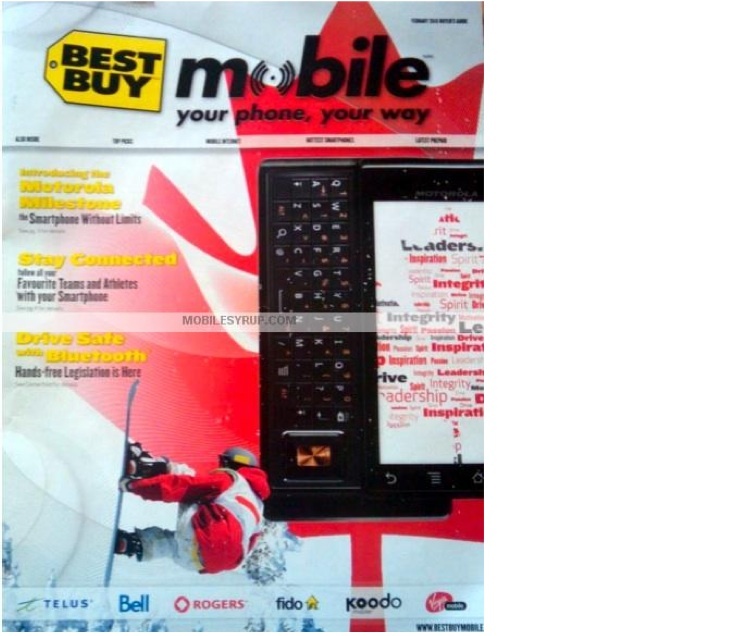 We received a couple pics from the upcoming Best Buy Mobile Buyer’s Guide and state that it’s still “coming soon”. *Update – we’ve got news about the price plans. Although we’re told these prices are “subject to change” but this is what is showing up in the inventory system: $199 on a 3 year contract and $549 outright.